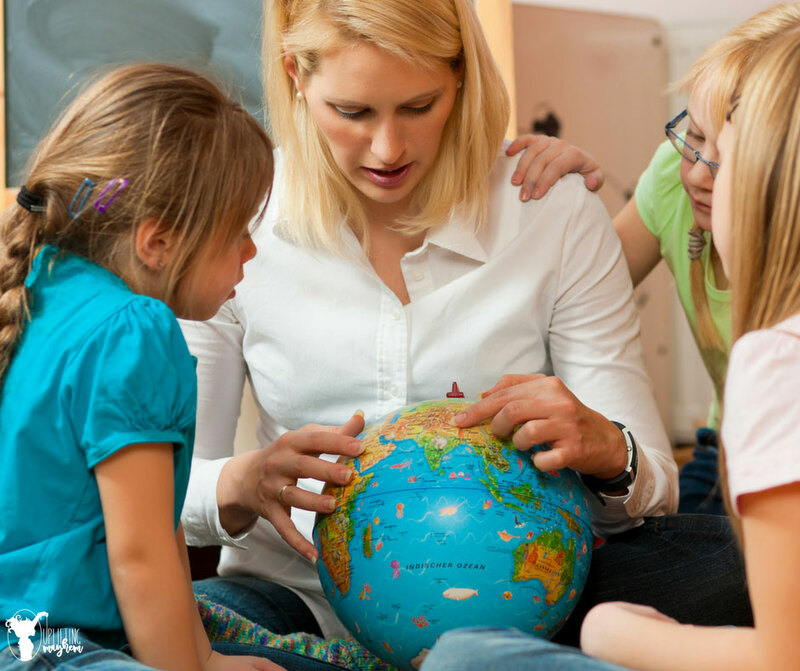 What makes successful homeschoolers successful? If you would have told me 5 years ago that I would be a homeschooling mom and loving it, I would have laughed in your face! Seriously, homeschooling was not in my plans but I’m grateful Heavenly Father didn’t think that. He knew better and knew this journey would help me grow into a better mother, wife and individual. I didn’t always have this in my life. In fact I remember getting done with nursing school and thinking, “I am never going to school again! No more studying, no more tests, no more books! !” I read books for pleasure that were fast reading and exciting. Documentaries were boring and I lost interest in many other learning opportunities. No as I have homeschooled my boys for 3 years, I have completely changed when it comes to learning. I can honestly say that I LOVE TO LEARN! Ultimately, you can’t teach your kids to love to learn, if you don’t love learning yourself. This goes a long with number 1, but I think it is easy as a mom to kinda float on by with the mundane tasks we do each day. To be a successful homeschooler, your kids need to see you learning and reading. They need to see you searching things and discovering new talents. Great time to learn to do something new! Learn the piano, violin, gardening or whatever it is. Just learn something new all the time. I have learned the importance of this the longer I homeschool. Prayer is a powerful source you can turn to for help. Whether your needing patience, understanding, or inspiration on helping a certain child, prayer can make all of those things happen. Successful homeschoolers know the power of prayer as they teach their children. This is SOO important, and it’s not just books, but it’s good books or good literature. Successful homeschoolers read books that are full of good and beautiful topics and life lessons. I have just recently come to recognize great literature as I have started searching out good books. You can find The Good and Beautiful Book list full of fantastic great literature. Read as a family, read out loud, read the scriptures, read by yourself. As you do all of this, these books will spark conversations you can have as a family. Discuss the books you read and discover what you can learn from the characters and their lives. I have found that there are certain people I can talk homeschooling to, and their are others that I leave the conversation either second guessing myself, inadequacy or that I said something to offend. Don’t let these kind of people discourage you. You are on this homeschooling journey for a reason, and that reason is between your family and Heavenly Father. Society doesn’t know what’s best for your child (even though there are people screaming from the rooftops about what is best for your child), through prayer, you as their mother will know what is best for your child. Be confident in that and stay away from those conversations that tend to discourage instead of uplift. When my son finally learned what the letter C said, it was a monumental moment in our household. I LOVE when something clicks inside one of my boys brains. It is very fulfilling and exciting! Successful homeschoolers celebrate those small wins. How do you think your child would feel if every week you sat down with him and discussed their goals, life and anything else they want to talk about. This chat doesn’t need to be long, but it helps them see a plan that they are a part of. Tell them everything they are doing great at, and see what they can improve on. I have to laugh at this one! I don’t miss public school parent teacher conference, and parent teacher conference at home is a breeze! Don’t miss out on it though and sit down with yourself and go over each child and their specific needs. It is easy to get in the routine everyday and start doing the same thing everyday. Hold a parent teacher conference with yourself to keep your learning experiences fresh and new. Successful homeschoolers start their day off with a prayer, scripture reading, the Pledge of Allegiance and a song. When we initially started homeschooling, I didn’t have this as a focus. I soon realized that this is the most important start to their day and it needed to be done everyday. I notice our day doesn’t go as smoothly when we skip this step. Oh this can become so toxic to your homeschooling experience. The sooner that you can get out of your head that because your child is a certain age that they should be in a certain grade, the better experience you will have. Comparing your child to other children will only lead to discouragement, uncertainty and inadequacy. Every child learns so differently and at different paces. Let them! Don’t get caught in this public school way of thinking. You are homeschooling to provide a great education for your child, and comparing will only squash that. Homeschooling is a family journey. It is a part of life and brings your family closer which is a beautiful thing. Society has so many great things to keep your child busy, but this can really pull your child away from your family. You have to decided as a family how busy you want to be. Be prayerful about this and really try to see what is best for your family. Just because everyone else is doing something, doesn’t mean you should. This was hard for me at first, but have learned that this is essential to create a real love of learning atmosphere in our home. I was stuck on getting things done daily that I didn’t take time to really inspire my boys on different topics. Here is what I mean on flexibility. Say you are reading a story about an early family settling in America, in this story it talks about catching rabbits with snares, building log cabins etc. Your children are interested and start asking question like, “How do you build a snare? How do you build a log cabin?” This is when you need to be flexible to stop what you are doing and feed this desire to learn more. Like I said in number 11, homeschooling is a family journey. Successful homeschoolers learn best when you as their mother are right beside them teaching and showing them. Have them help you make dinner. Teach them to make cookies or bread. Teach them to sew a button on, clean a bathroom, do the laundry. All of these things are so important and are sometimes overlooked. Grow a garden and have them work beside you as you care for this garden. If you are learning about something, talk with them what you love about it. There was one school day when we had someone text me for money because they needed food. They didn’t have any and their baby was really sick with a fever. We stopped what we were doing and I took the kids to the store and we got food and medicine for all of them. This family had 3 adults in that home, and only one had a part time job. That day as I took my boys with me they witnessed the importance of service, and they also witnessed a situation that they hopefully will never be in. We discussed what drugs do to people, and we discussed the importance of hard work. These 13 habits are what I have found have helped me to provide a healthy homeschooling environment for my boys. This is a journey that I never thought I would be on and now going through it I would never trade it. I love the experiences and the good times, and grow from the hard times. It isn’t easy, but what things in life that are worth something easy to do? 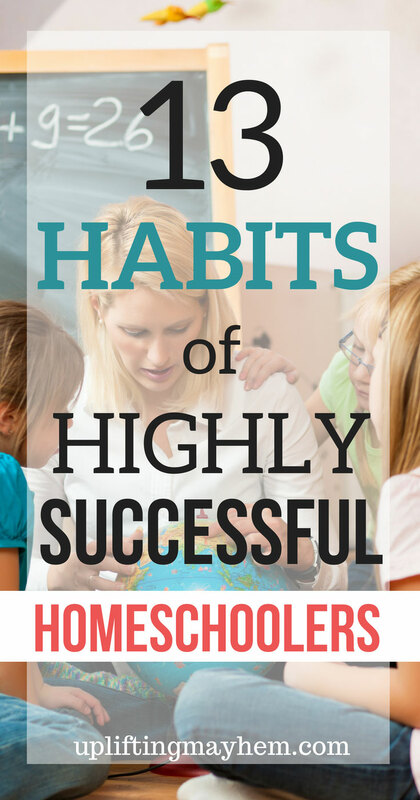 What habits have you found that have helped your homeschooling journey to make you successful homeschoolers? Here are 6 Things Every Parent Should Know BEFORE you Start Homeschooling.